What's new in the Famicom Factory?! Please consider that I'm in England, I need any buyers to pay actual shipping costs - which will always be very reasonable. I've shipped a few games tracked to the US for $8, I'll always do what I can cheapest for you. Payment by PayPal, shipping to confirmed addresses. Everything is tested on real hardware, but not clones (mine died) and if you're genuinely not happy I have a full refund policy. Any questions on the above just shoot a PM or ask here. Everything is tested and working, then tested again before I send on real hardware). Can you do a NES everdrive label? Just the label? Sure. The shell shouldn't need prepping from what I've read on Krikkz's forums. To prep it I'd need a NES Everdrive though, and I honestly don't plan on getting one in the near future (I'd like a second Famicom one though)! Don't be a tuna head! That Mario multicart is beautiful. Too bad I'm about to spend 100x that amount to move to New York. Price is $100 (but don't forget to minus your discount! 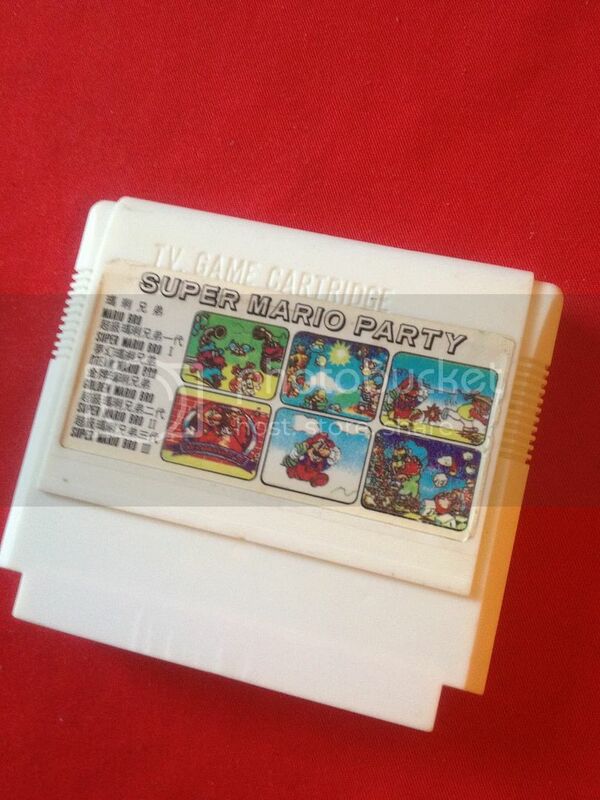 - this is a very rare cart and I could sell for more than this if I stuck it in a NES shell with a custom label. I'd prefer it went to someone who really wanted it. I reserve the right not to deal with any members I find rude. Having said that, everyone here is welcome. Everyone. Those carts came out awesome. Absolutely, but bear in mind I won't ship to North Korea. The fact you're online leads me to believe you're elsewhere and it's just a joke. As soon as the NES everdrive is available I'll be picking one up. I have plenty of donor carts, all I need is a nice label. Do you have rough pics of what your label would look like? I would love to have a NES "Black Box" style label if possible. I think they're available now (under pretense of back order status), I'd jump in if I were you. If you just want a label, you'd be employing me as a graphic designer, which wouldn't be cheap. However, as this is a hobby we share I'm happy to mock up a label when time permits. Though saying that, someone already did some NES labels on the Krikzz forums I think you might like. The black box designs were based on sprites - what did you have in mind, a NES or PCB sprite? Did you end up selling the Goemon games? I'd be interested in those. What is the shipping to the U.S.? Thanks!